This image was taken mid January 2016 in Orlando. 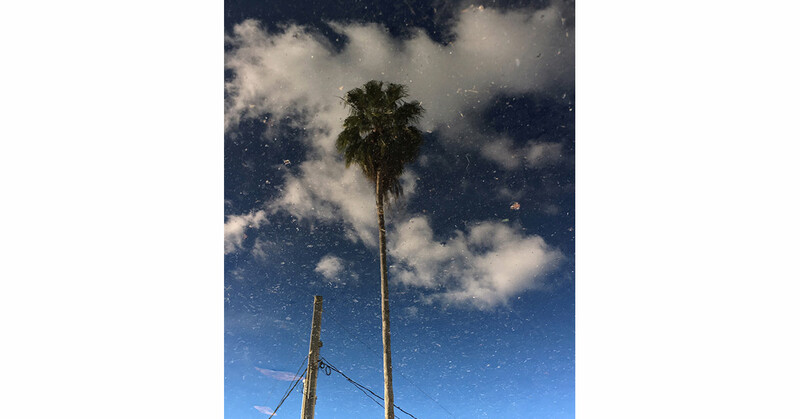 The blue sky and asphalt texture add a layer of soothing color to the pole and palm tree reflection. The composition gives a feeling of relaxing on a nice clear afternoon.